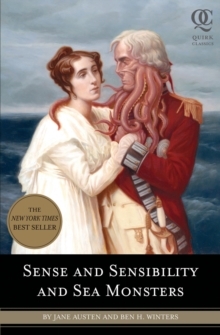 By: Austen, Jane, Winters, Ben H.
Following the massive success of "Pride Prejudice and Zombies", and the impressive pre-pub sales of "Sense and Sensibility" and "Sea Monsters", we have "Quirk Classic 3". Like 1 and 2 the suspense will build as we discover what new monster mayhem will descend upon us this Spring. Certain to create the same buzz and excitement as the previous "Quirk Classic" titles.